W. E. Clark & Son Ltd has its roots firmly established in Lewes. 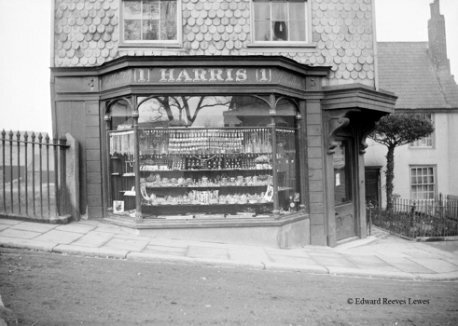 In 1819 Mr Harris founded Harris Jewellers at 1 Cliffe High Street, Lewes. He was later joined by Mr Kenward and Harris and Kenward, Jewellers and Silversmiths, was formed. The photograph shows 1 Cliffe High Street circa 1830. Wilfred Ernest Clark moved from London to Lewes. 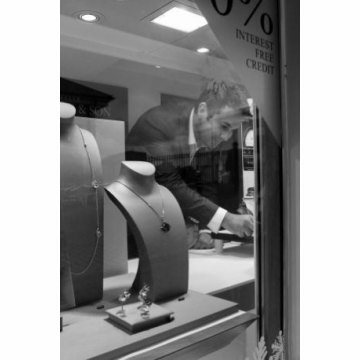 In 1919 he purchased Harris & Kenwood Jewellers located at 1 Cliffe High Street. He settled in the historic town marrying Jean, a beautiful millinery model and they had one son, John (Jack). Wilfred put his name to the business and W. E. Clark was established. 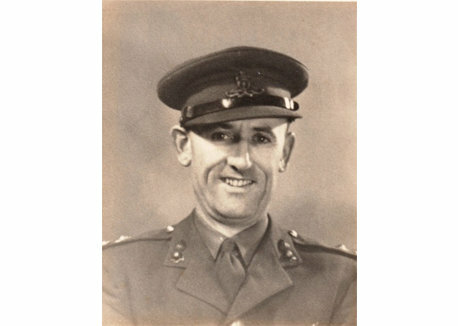 He ran the company for nineteen years and was latterly joined by his son, Jack, on his return from active service in the second world war; thus establishing W. E. Clark & Son. 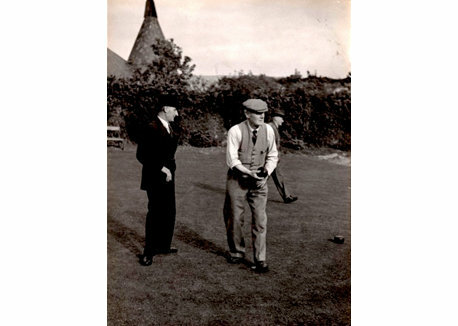 The photograph shows Wilfred Ernest (right) playing bowls at Lewes Bowling Club. Jack Clark worked alongside his father Wilfred Ernest for a short time before fully taking over and running the business in 1947. Jack Clark met his future wife Bruna whilst she acted as his translator during his service in Pesaro, Italy, during WWII. They both returned to England and settled in Lewes where they had one child John Clark. Bruna became a very well-known and respected figure teaching Latin and Italian at Southover School in Lewes. John Clark trained at George Farrer’s Jewellers in Tunbridge Wells and the Jewellers and Silversmiths in Guildford. He took on the responsibility of running W. E. Clark & Son in 1971 at the age of 21. He married Madeleine in 1974 and they had three children, Simon, Caroline and David. John Clark oversaw the expansion of W. E. Clark & Son. 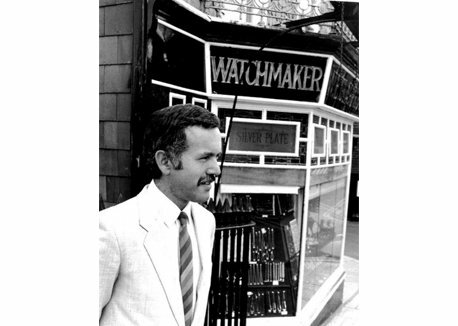 In 1979 he purchased the premises at 224 High Street whilst retaining 1 Cliffe Street. Clark’s now had a presence on both the East and West bank of the River Ouse, either side of the historic Cliffe Bridge. 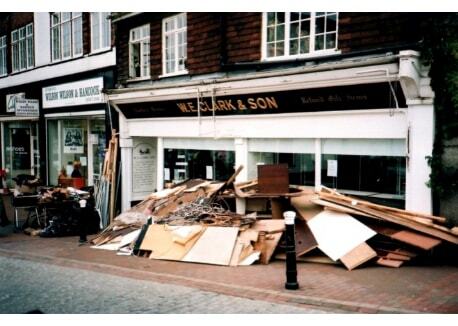 On 12 October 2000 Lewes experienced its worst flood in 200 years. The Great Flood wreaked havoc as several feet of water swept through both of Clark’s premises causing serious damage in its wake. The devastation is clearly shown in the picture of our 224 High Street showroom. David Clark returned to join his father in the family business the day following the flood. The flood proved a low point bringing the business to its knees; however true to the Clark spirit it became the impetus for something new! Encouraged by David, John took the bold decision to reposition Clark’s in the market place and together they worked to regenerate the company. The destruction provided the opportunity to enhance the premises by redesigning, repairing and refitting them. 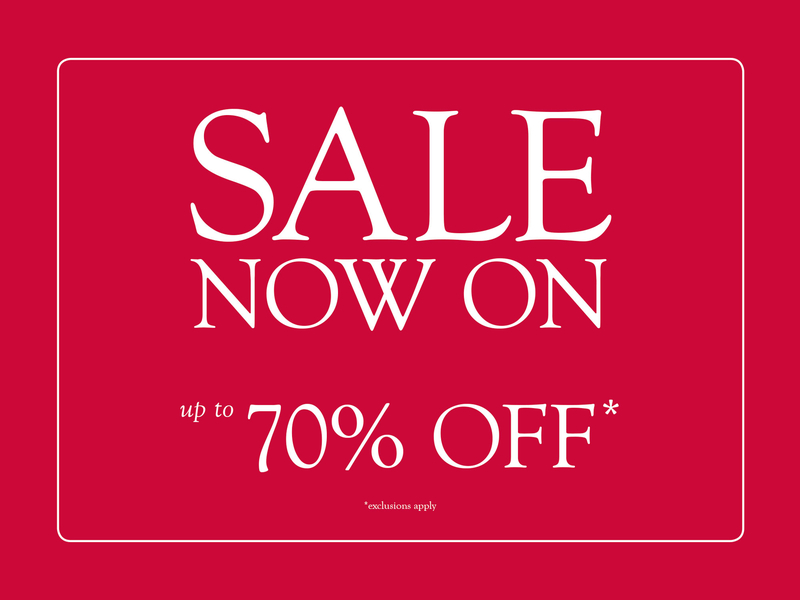 New brands were acquired, advertising was created and events were organised. 'The Clark Experience ' was born. The business thrived and W. E. Clark & Son was established as the county jeweller of Sussex. 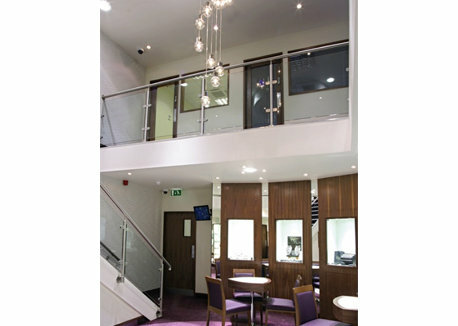 In 2005 we acquired our second showroom, formerly Charlwood's Jewellers, Eastbourne's oldest jeweller founded in 1883. Here we have established our prestigious watch repair and restoration service carried out by our Master Watchmaker. 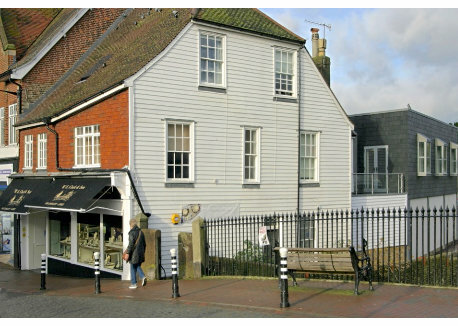 It was decided that 224 High Street should be redeveloped and extended to become Lewes’ sole representation of W. E. Clark & Son and that Eastbourne should be refurbished. The Lewes showroom now boasts increased floor space spread over two floors, whilst both showrooms incorporate separate customer seating areas which provide a comfortable place to enjoy our unhurried service. We further enhanced ‘The Clark Experience’ by introducing hospitality in the form of a wide range of teas, coffees, soft drinks, Champagne and Prosecco. 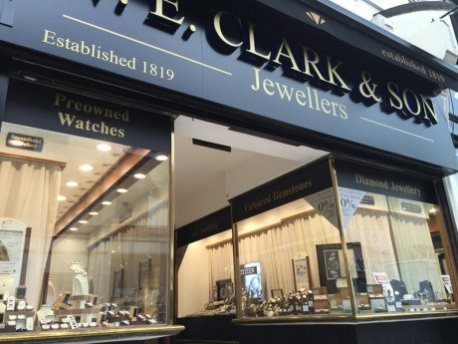 In 2014 W. E. Clark & Son established its prestigious watch repair and restoration service in conjunction with launching a second web site dedicated to our postal watch repairs service - www.weclarkwatchrepairs.co.uk. 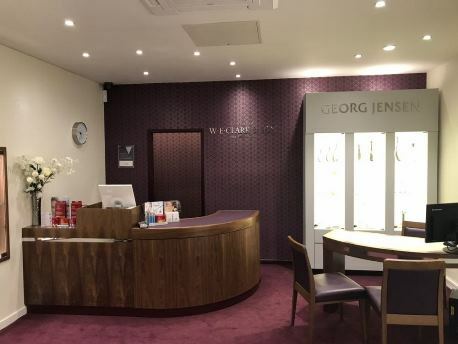 This comprehensive watch repair service is undertaken by our Master Watchmaker, one of only 10 experts in the entire UK to hold this title. We offer the rare expertise required to maintain any timepiece from a 300-year-old fob watch to the latest brand of wrist watch. 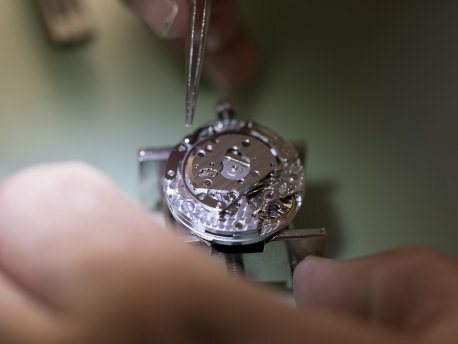 Our forte is the specialisation of restoring and repairing vintage timepieces. In 2017 we took the exciting decision to expand and open a new showroom in Uckfield, East Sussex. We are now open and welcoming customers excited to receive the Clark Experience.